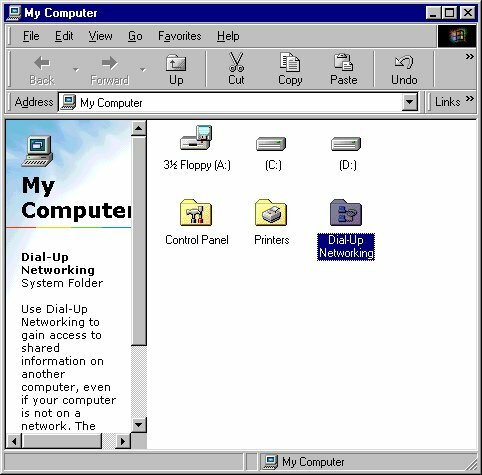 1) Double click My Computer. 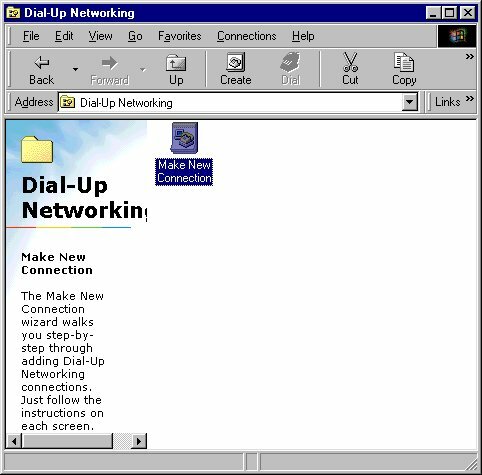 3) Double click Make New Connection. 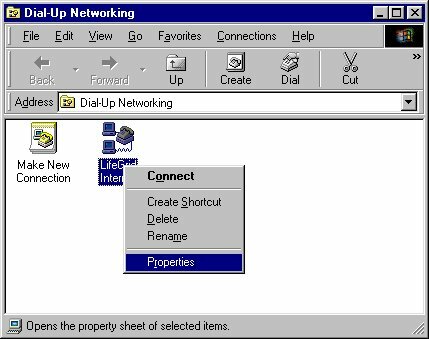 4) Type in LifeGrid Internet  then next at bottom of screen. 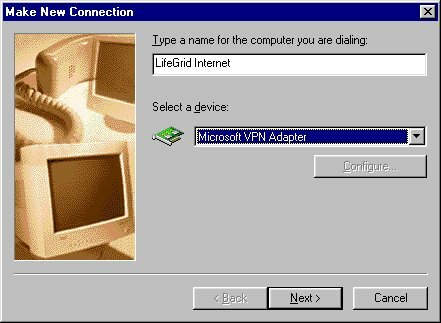 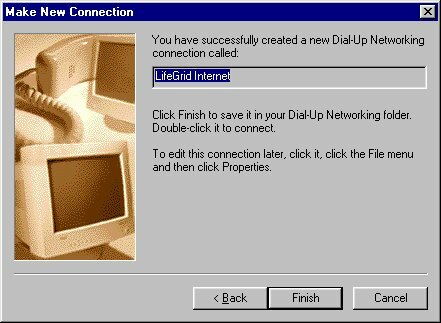 7) Right click on the new LifeGrid icon in the dialup networking folder. 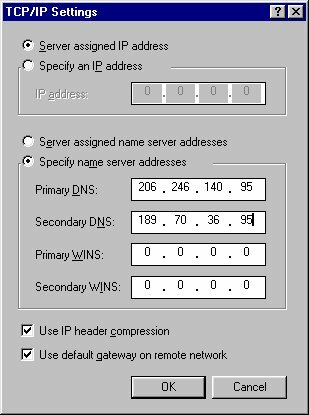 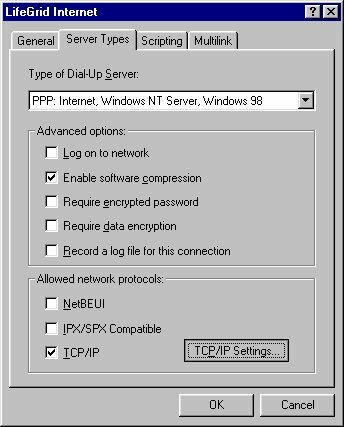 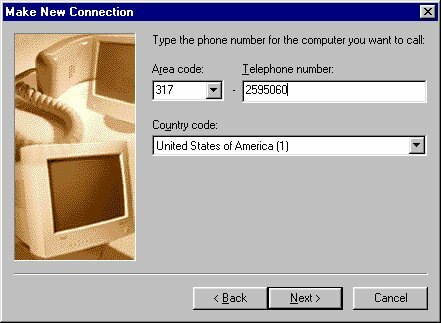 8) Click on the "Server Types"
Take the check out of " Log on to network", " NetBEUI" and "IPX/SPX Compatible"
boxes, then click "TCP/IP settings"
and type the following "216.37.44.60"